Last summer our community came together to welcome more than 200 young men to our campus for the first year of CBC Summer Academy. Year two will again offer more than 40 camps and classes and provide grade school students with a first-hand look at what CBC is all about. In the mornings you will learn from state champion coaches during our athletic camps and on the stage in our theater and band camps. 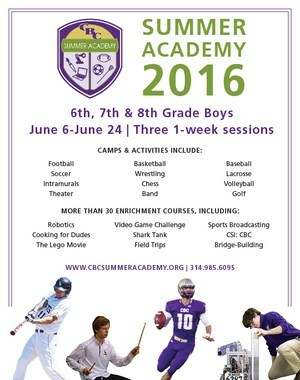 In the afternoons students learn exciting subjects like Robotics, Forensics, Highlight Video Production and so much more in CBC's classrooms. 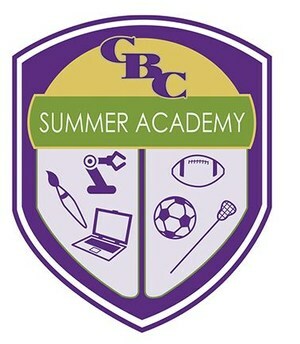 Visit www.cbcsummeracademy.org for more information and to sign up now!